Published Rizzoli International Publications, Inc.
Hitler, who fancied himself an "architect manque," made architectural sketches which he later gave to Nazi architect Albert Speer. The fuhrer's grandiose vision of architecture as a symbol of order and permanence reflects a wider German search for a national architecture, notes Balfour. Two centuries earlier, Prussian king Friedrich Wilhelm I imposed rationality and order on a medieval cityscape with the erection in 1737 of three major gateways to Berlin--Brandenberg Gate, Potsdam Gate, Hallesches Gate. 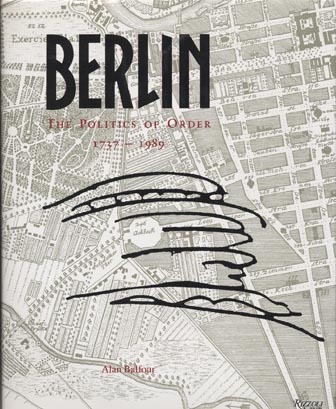 In an enriching, revelatory, amply illustrated survey, Balfour, associate dean of Rice University's School of Architecture, interprets Berlin's buildings and monuments as the reflection of a culture torn between cravings for autocracy and a desire for democracy. He weaves into this tapestry Goethe's pronouncements, Josephine Baker's cabaret dances, Ernst Kirchner's paintings of street life, the Berlin Wall and the aseptic, depersonalized projects of Le Corbusier and Mies van der Rohe. Copyright 1990 Reed Business Information, Inc.